This is the eBook of the printed book and may not include any media, website access codes, or print supplements that may come packaged with the bound book. Reinforced Concrete Design Eighth Edition integrates current research and literature to give readers a modern understanding of the strength and behavior of reinforced concrete members and simple reinforced concrete structural systems. It takes a fundamental, non-calculus, practice-oriented approach to the design and analysis of reinforced concrete structural members, using numerous examples and a step-by-step solution format. This eighth edition is fully updated to conform to the American Concrete Institute’s latest Building Code Requirements for Structural Concrete (ACI 318-11), the current U.S. design standard. A new chapter discusses practical considerations and rules of thumb for designing reinforced concrete structures, including initial sizing and layout; calculation of approximate moment and shears in concrete girders; repair methods for existing structures, and a new student design project. 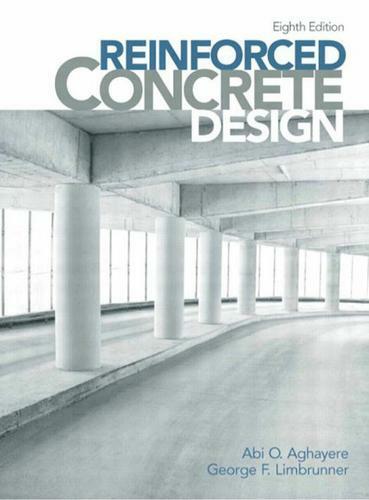 The text also offers conceptual insights into topics such as prestressed concrete and detailing.